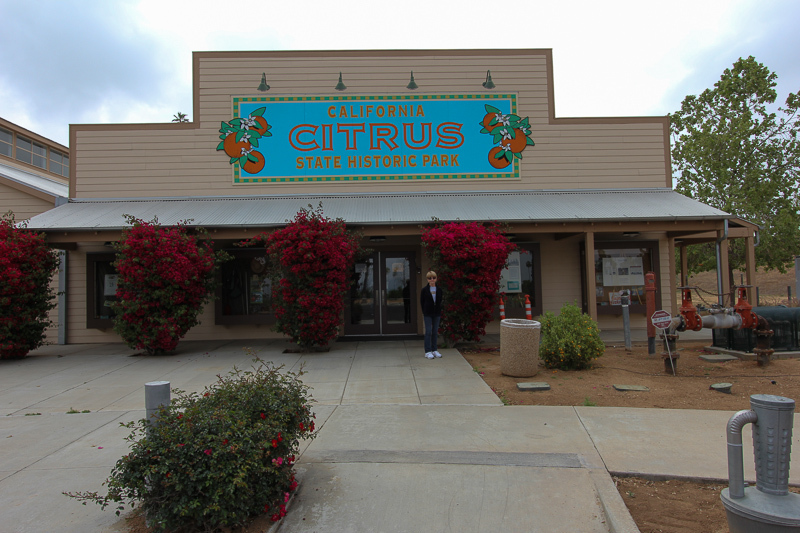 April 6, 2013 - Today's adventure was to visit the California Citrus State Historical Park in Riverside. 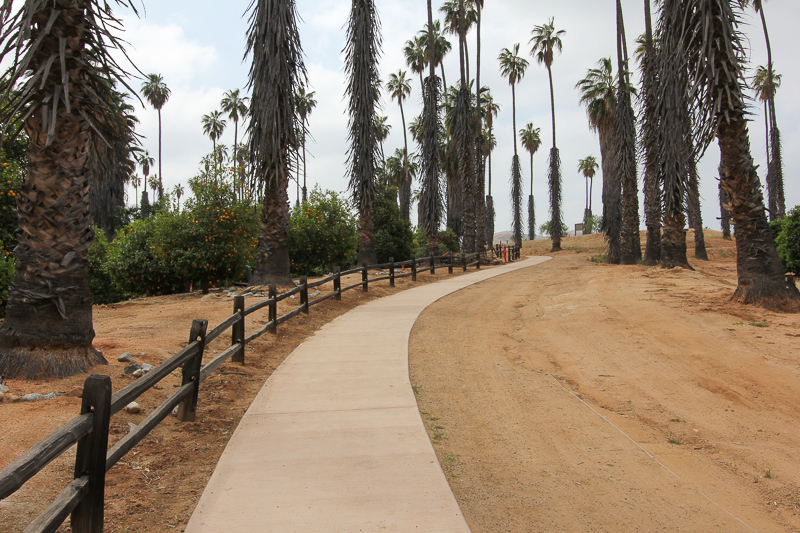 The park, as stated in their brochure, is "where tall majestic palms stand among a preserved and rapidly vanishing citrus landscape." We tried to come here previously but we found it was closed on weekdays. 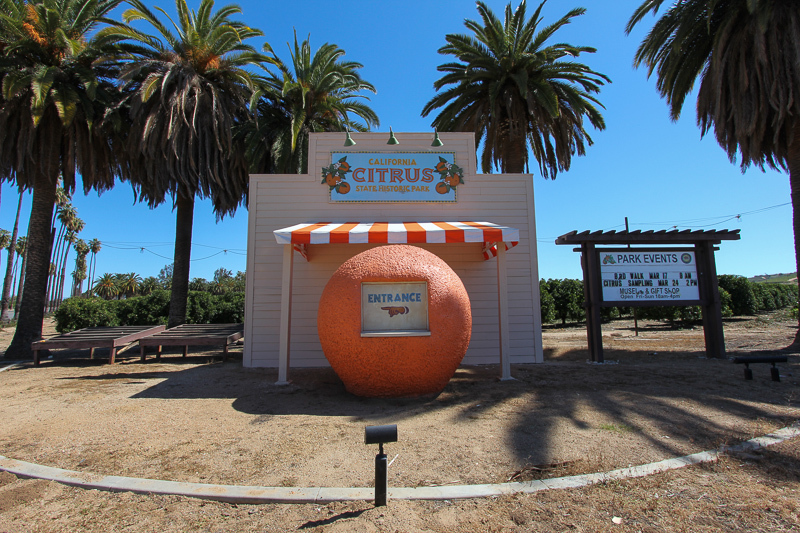 This charming replica of an old-fashioned roadside fruit stand points the way to the entrance. 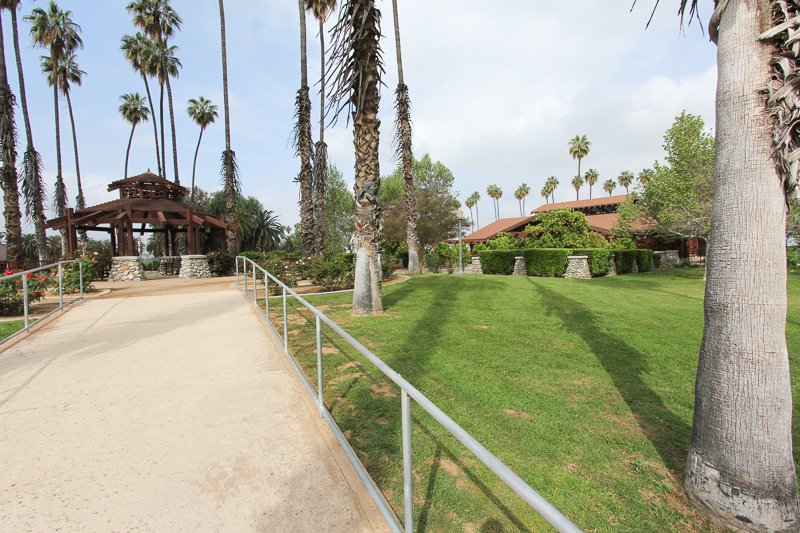 Immediately upon entering the park, visitors are at the Sunkist Center, which is set in citrus groves and rose gardens next to a courtyard and gazebo. 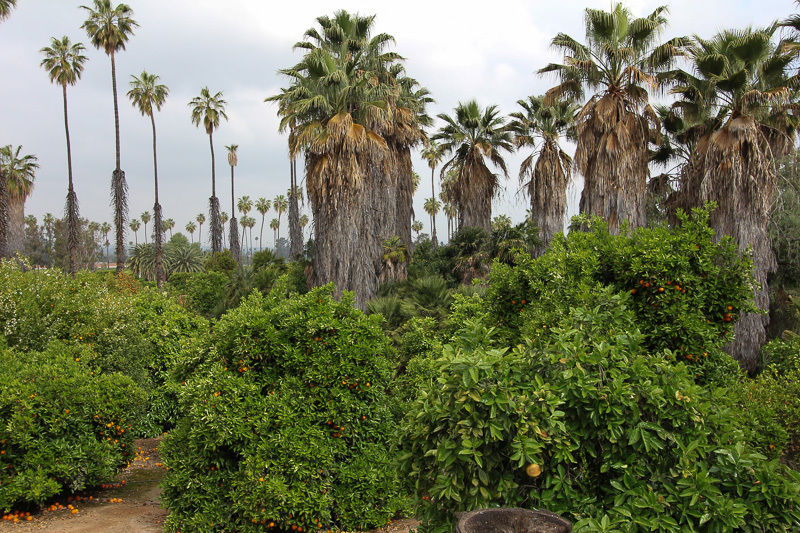 The park dedicates nearly half of its 377 acres to what was once the universal symbol of California's role in agriculture - the citrus groves. 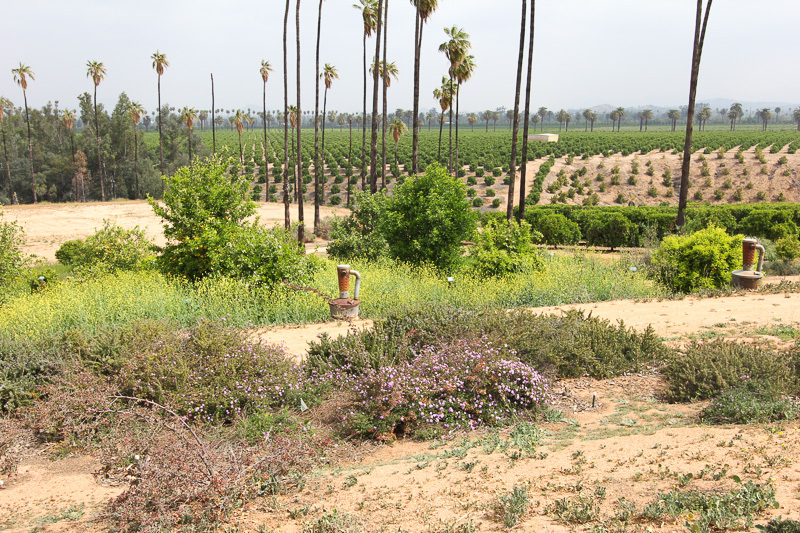 Between the late 1800s and the early 1900s, the groves spread across Riverside, San Bernardino, Orange, Los Angeles and Ventura Counties, as well as the Central Valley. 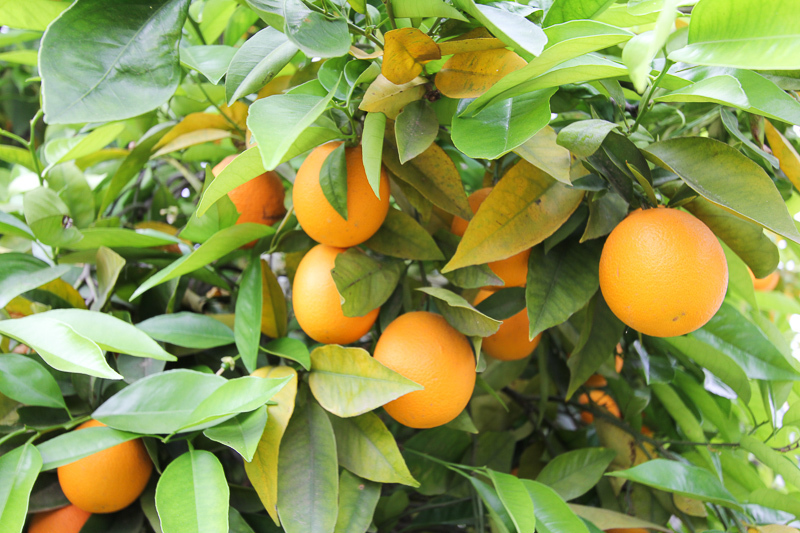 The navel orange trees are currently producing fruit, but the Valencia trees are now flowering. The smell of orange blossoms is everywhere in the park. 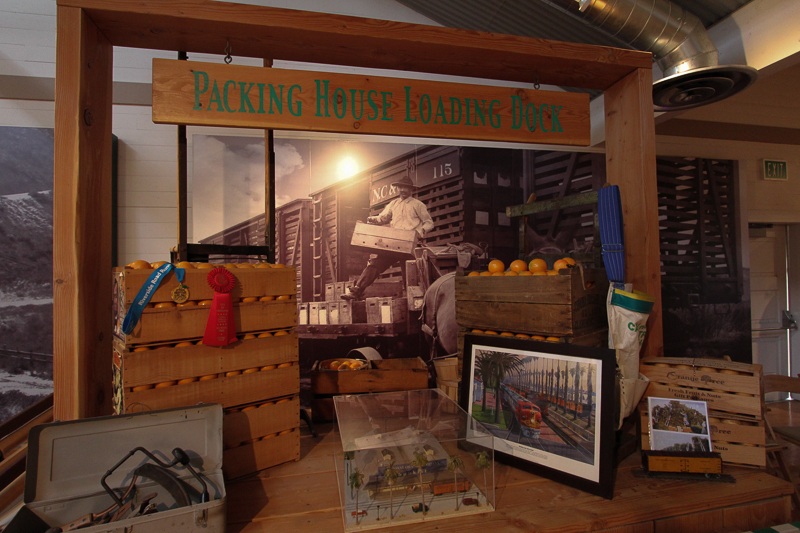 The Visitor Center is a replicated citrus packing house that tells the citrus story from Asia to Riverside. 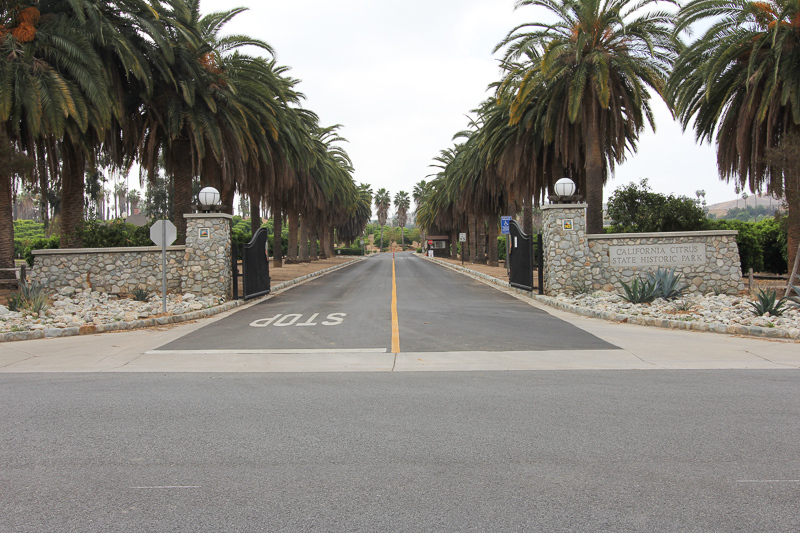 Unfortunately it costs $4.00 to park here, otherwise it would be a great place to regularly walk the grounds. 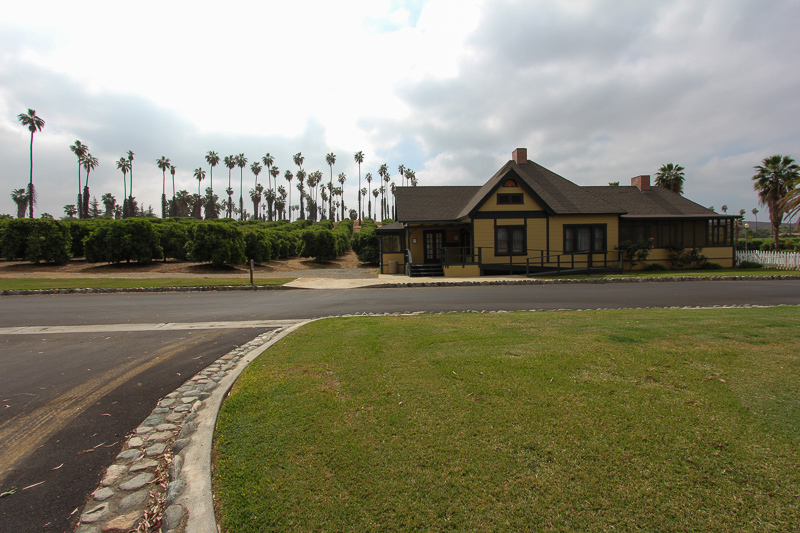 The Grower's House was built in 1889 and represents the home of a middle class citrus grower. 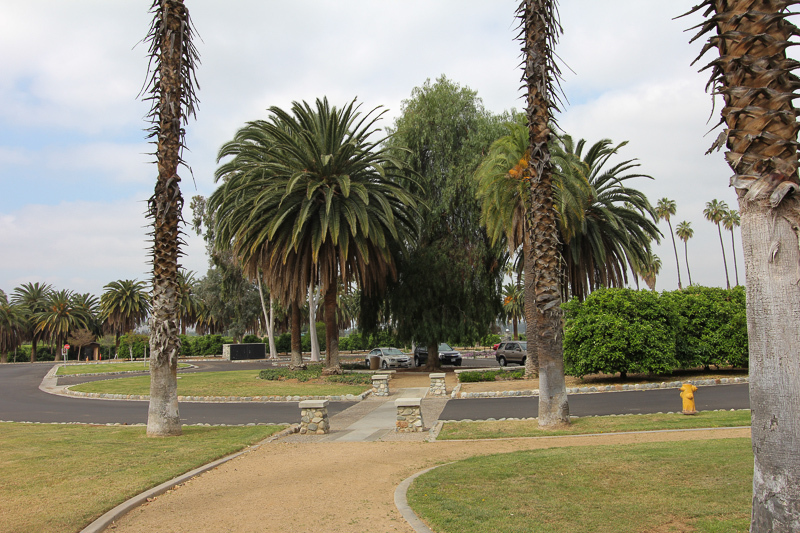 The house was donated by the city of Riverside to the park in 1995. 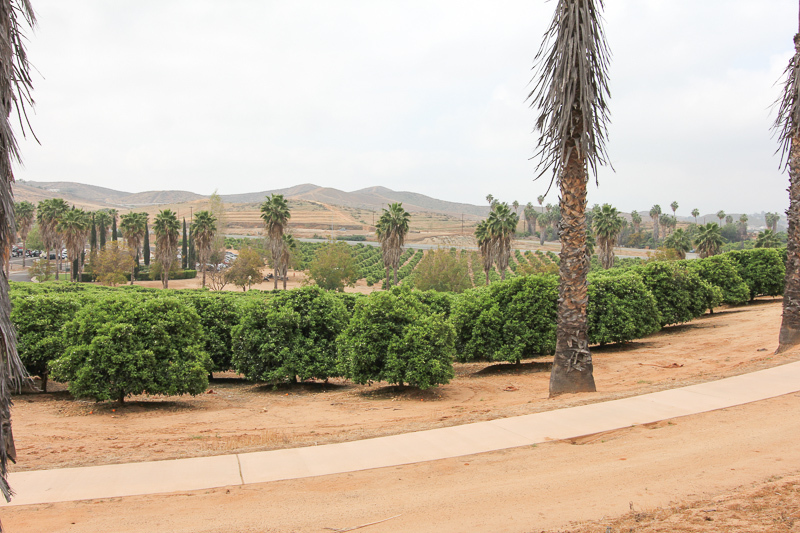 The 186 acres of citrus groves managed by the California Citrus Non-Profit Management Corporation produce navel and Valencia oranges, grapefruit and lemons. The groves seem to go on forever. All of the walking that we did gave us an appetite, so we went to Giuliano's Trattoria in Riverside for lunch. 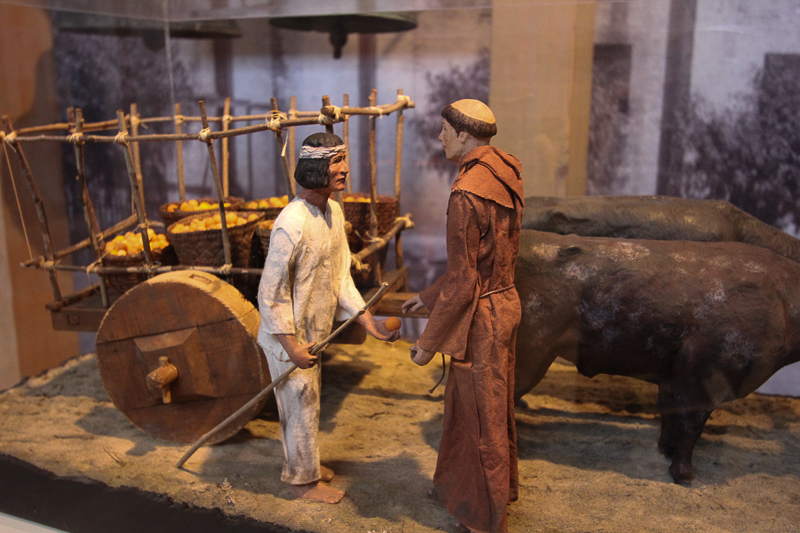 We had been there before and we love everything about it. The Executive Chef, Juan Salazar, spent 16 years at Mario's place in Riverside (a high end restaurant), and it shows. Judy had penne pasta with a creamy Arrabbiata sauce and I had the cheese raviolis, also with the Arrabbiata sauce. Heaven! As if that wasn't enough, we split a tiramisu for dessert. Double heaven!